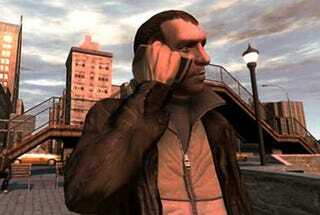 GTA IV isn't the hardest game around, but hey, maybe you're not the best gamer around. Maybe you've got stubby thumbs. Maybe you can game, just can't be bothered, and want the ability to spawn sports cars in front of you just for kicks. If so, take note of the following GTA IV cheats, which will do things like restore Niko's health, give you all the game's weapons, change the weather and adjust your wanted level. ACHTUNG: these mess with your saved game files and can stop you earning achievements, so you might want to turn autosave to the "off" position if you want to safeguard your progress against a tragic corruption. Equip Baseball Bat, Handgun, Shotgun, MP-10, M4, Sniper Rifle, RPG, Grenades.